Danny McBride’s return to HBO was always designed as a brief comeback. His follow-up to “Eastbound and Down” was shot all at once with longtime collaborators Jody Hill and David Gordon Green, meaning the Season 2 finale, which premiered Sunday night on HBO, has been sitting in the can for some time. Knowing this, it feels safe to assume the two-season series wasn’t trying to be a timely satirization of flaws within America’s school system or offer commentary on cultural insensitivities in small towns. For the most part, it was neither. It was just pretty damn funny. And sometimes, including the finale, it was wildly, hilariously, hysterical. After the incredible fallout last week, when McBride’s Neal Gamby accused Walton Goggins’ Lee of shooting him and the two destroyed the school in a knock-down, drag-out fight, it seemed hard to imagine how they’d come together — and how the events could possibly top what happened an episode prior. Well, the finale didn’t quite reach the highs of “Venetian Nights” (Episode 8), but a tiger did eat a guy. OK, OK. The tiger did more than that, and the episode did, too. The madness of seeing an actual tiger terrorize a school combined with a wonderfully wackadoo performance from Edi Patterson — as Gamby’s actual shooter and his jilted ex-lover, Jen — kept the pace quick, the tone ecstatic, and the laughs coming. Though the finale begins with a sweet nod from Gamby to his pet project of sorts, Robin Shandrell (Conner McVicker), it quickly moves into revelations, confrontations, and a race against the clock (or, really, the tiger). Lee figures out who really shot Gamby just in time to get himself shot by Jen. Luckily, she only grazes the side of his head, and he recovers in time to help Gamby out of his own trap and race to the school in pursuit of Jen. After totaling her car (much to Lee’s surprise), they discover that Amanda Snodgrass (Georgia King) can handle herself just fine, but someone should’ve kept a closer eye on Jen. Despite the beating, she gets up, changes her plans, and decides to welcome death by freeing the tiger Lee ordered to celebrate graduation. But the tiger has other plans: He passes on Jen and eats his cocky trainer instead. Then, while the faculty rushes the students out of the auditorium, Lee tries to reason with the beast… unsuccessfully. Lee’s confrontation with the tiger exists right on the line with the rest of “Vice Principals.” The cartoonish insanity of Lee Russell makes his decision totally logical. When he approaches the tiger, the audience isn’t calling him an idiot. Even if you know he’s about to get bitten, part of you wants to see Lee succeed; it’s the same sick part that wanted him to win out overall — to be happy, rule the school, and reign with terror forevermore. Needless to say, he does not. He gets bit, Gamby comes to save him, and the two leave the school together. The chaos is brought to a halt on this side of reality, rather than letting Lee’s psychotic powers transcend into tiger whispering. It’s not a sleight, per se, but the idea of watching Lee ride a tiger out of the school in triumph is a vision too tempting to dismiss as unwanted. 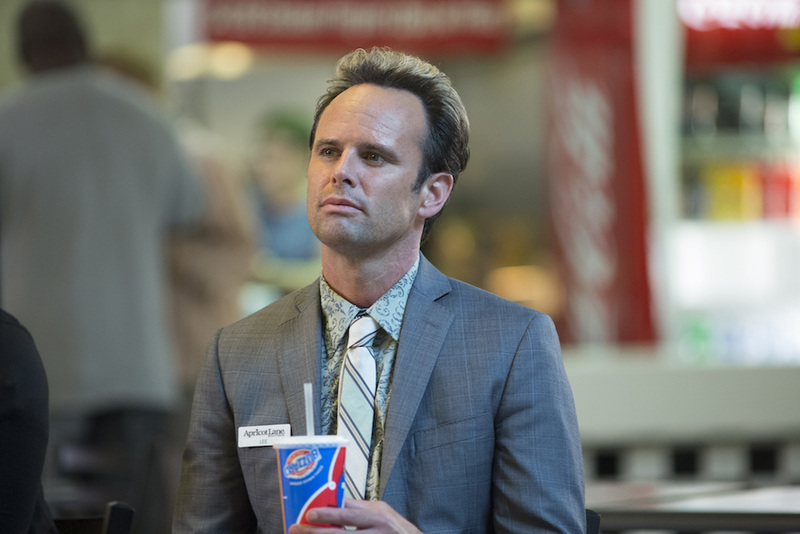 Would “Vice Principals” have been better if it went fully loco in its final half-hour? God knows it came close throughout Season 2, but no, it ended as it should. The hysteria led to hysteric laughter, and the series certainly won’t be forgotten anytime soon. Sure, it seems a little generous to let Gamby off the hook for the egregious crimes of his past. Viewers may have forgotten just how awful his actions were in the past, given how hurriedly the second season pushed beyond the sins of Season 1. Seeing Dr. Belinda Brown (Kimberly Hebert Gregory) in the final episode, briefly and rightly telling Lee to screw off, acknowledges what the two men had done in the past, but it didn’t provide her any true justice or the two men punishment. Instead, they both largely got off scot-free. Gamby is the principal of a new school. He’s bringing his curt, protective demeanor to Forest Hills Middle School, and he quickly puts his new vice principal in his place. Lee does the same as a regional manager of Apricot Lane Boutiques, cattily exerting his dominance over new peons working beneath him. Gamby achieves his dream while Lee remains a mysterious — and lucky — force of evil (kind of). 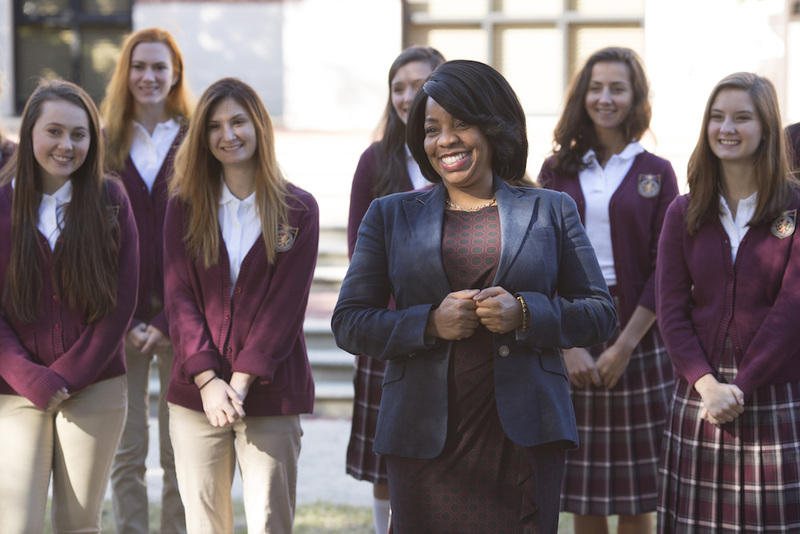 The final season, final episode, and final scene of “Vice Principals” focused on the platonic romance between Gamby and Lee. As the two men’s eyes met in the mall cafeteria, drifted apart, and then Lee disappeared, that last note perfectly encapsulates the show overall: bittersweet. “Vice Principals” is streaming in full via HBO NOW.